More than a decade of research into the Bosnian pyramids has revealed many surprising results. 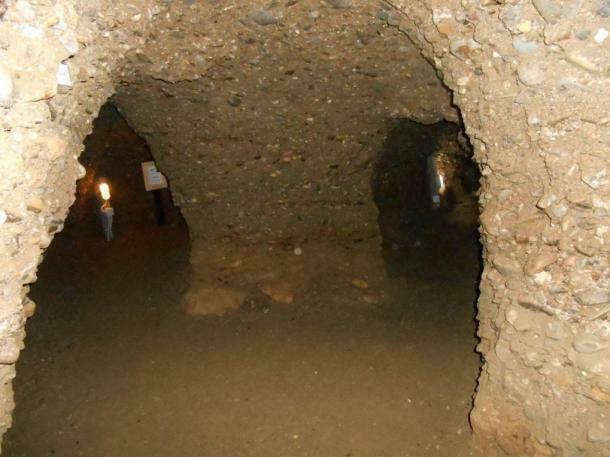 Could the mysterious prehistoric tunnels that wind beneath the Bosnian Pyramids possess healing energy? In this editorial on the possible health benefits found in the prehistoric stone tunnels beneath the Bosnian pyramid complex, Dr. Sam Osmanagich delves into the scientific conclusions he and other research teams have discovered. At the five International Scientific Conferences on the Bosnian Pyramids held in 2008, 2011, 2012, 2013 and 2014, experts have given interdisciplinary scientific explanations for the healing energy in the pyramid complex. In the prehistoric tunnels beneath the pyramid complex in Visoko, the constant presence of beneficial electromagnetism was measured, as well was an ultrasound of 28 kHz and the Schumann resonance of 7.83 Hz (the best energy field for the physical, mental and spiritual faculties of humankind). Additionally, an extraordinarily high concentration of negative ions was detected, up to 60,000 per cubic centimeter (ten times the concentration in, for example, the forest on mountains), as well as the absence of 1) harmful cosmic rays and 2) natural radioactivity. In these conditions, said the scientists, the cells of the human organism can start the self-healing process of regeneration. 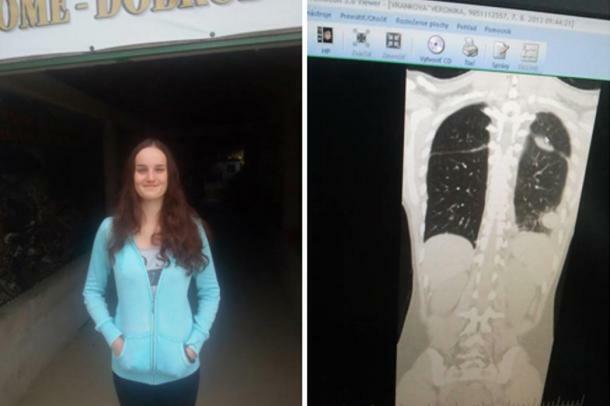 Seventeen-year-old Slovakian Veronika Vranko, from Nitra, came to Visoko because of a problem with her airways, on the recommendation of Czech Dr. Peter Hajduk, specialist from the Clinic for Pulmonary Diseases in Prague. Her story began in 2013 when, due to inflammatory cysts and shortness of breath, lung function capacity was reduced to 47%. Due to ill health, Veronika soon after being diagnosed underwent surgery of her right lung. The program of postoperative recovery, led by Dr. Hajduk, was based on bio-resonance therapy: the use of natural products and vitamin C. The rehabilitation program included a trip to Visoko, due to the high concentration of negative ions found in the Underground Labyrinth Ravne. After two trips to Visoko to undergo treatment in Ravne Tunnel Labyrinth, the young Slovakian felt improvement in her health. For the first time in two years, she didn’t feel the twinge and pain in her chest from which she had suffered for a long time. The whole process of treatment, including her two visits to prehistoric Ravne Tunnel Labyrinth, ultimately resulted in increasing her lung capacity from 47% of original capacity to the current 84%. During her second visit to Visoko, Veronika was a volunteer for “Archaeological Park: Bosnian Pyramid of the Sun” Foundation, involved in clearing loose sand and river stones from new sections in the tunnel. On her face, you can see a smile of satisfaction. Under the auspices of the Czech publication “WM Magazine,” a team came to Visoko in early 2015 to study measurements of human blood glucose levels. 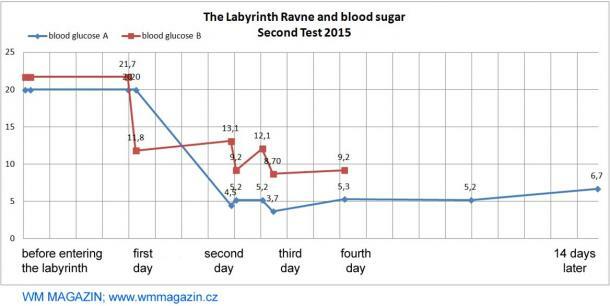 The blood sugar level of experiment participant Jyrki, from Prague (58 years old) was measured 45 minutes before he entered prehistoric Ravne Tunnel Labyrinth. At that time, the level was 7.8 mmol / L (risk group). After a visit to Ravne Tunnel Labyrinth, his blood sugar level dropped to 5.1 mmol / L (normal level: non-risk group). Another participant, Karel, tested at a level of 10.5 mmol / l before entering prehistoric Ravne Tunnel Labyrinth, and after a stay in the tunnel was tested at 5.7 mmol / L. The Chief Physicist from Prague hospital conducted the monitoring and did not have an adequate explanation for this phenomenon. 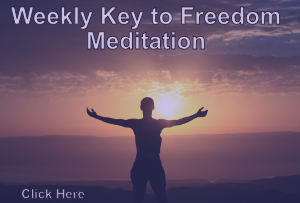 After returning to Prague, the participants said that the beneficial effects from the tunnel stayed with them for 14 days and then blood sugar levels began to increase slightly. Sevim Mujevia, a Turkish woman from Istanbul, aged 54, had constant problems with high blood pressure from 2004 to 2014. Her blood pressure level rose to 220/135. After she began regularly visiting the prehistoric tunnels in the Bosnian Pyramid Complex, her blood pressure never went above 140/90. Slovenian engineer Janez Pelko used the groundbreaking equipment of Russian Professor Vladimir Korotkov (University of St. Petersburg) to capture what is said to be the human aura, which is a bioenergy layer or field around the human body. The study involved a representative sample of 160 participants (male and female, old and young, tourists, volunteers, permanent staff, etc.). The results showed that a one-hour stay in prehistoric Ravne Tunnel Labyrinth led to an improvement of the aura (protecting energy and immune depletion) in 82% of cases. The positive result occurred mainly in people who came for the first time or who had visited several times. In 15% of cases (permanent staff and volunteers) the bioenergetic layer was stable, continuous, with no major changes. The least powerful results occurred in people who declared themselves as “skeptics” (resistance to the idea of pyramids in Visoko) or who wore inadequate clothing (for example, artificial fibers, PVC, instead of natural cotton or woolen clothing). 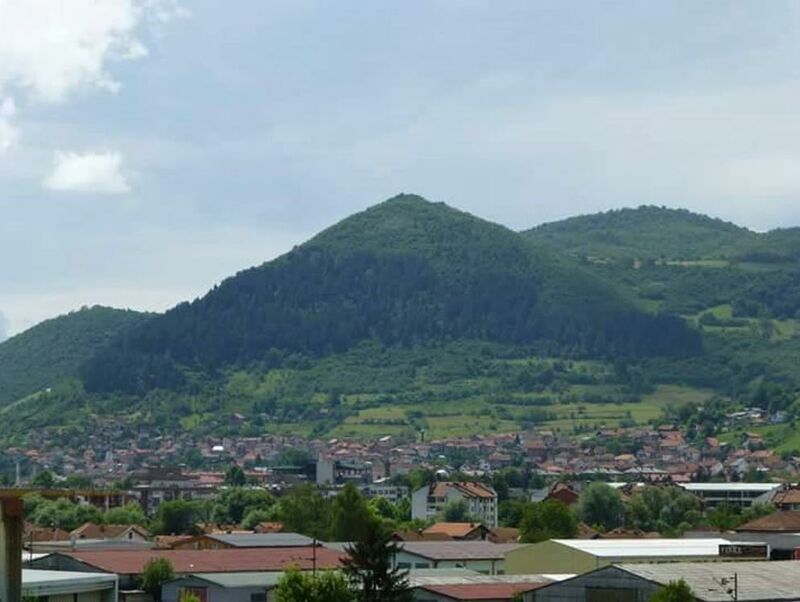 Disclaimer: “Archaeological Park: Bosnian Pyramid of the Sun” Foundation is non-profit and non-government organization engaged in scientific and archaeological research, and conveys statements and testimonies of visitors, but does not provide any health claims or guarantees. Images, unless otherwise noted, courtesy of Dr. Sam Semir Osmanagich, Ph.D. Yes, Doug. The chambers involve using the sacred geometry of pyramids to achieve healing. Very interesting article. I will repost it on my website, so my clients know about this alternative healing. Tachyon chambers are now appearing in the US, would this not also be similar to these tunnels?